The Blue arrow is the wood ray. 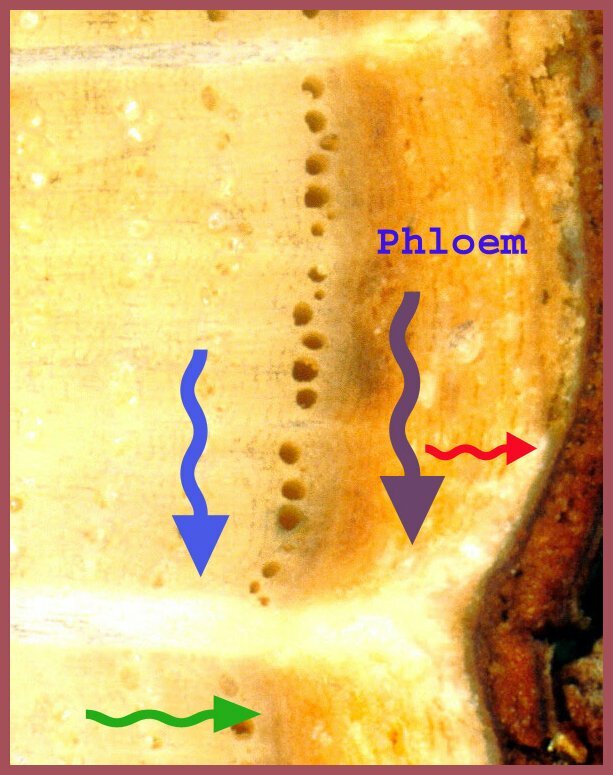 The purple arrow is the phloem ray branching out to form the phellogen. The red arrow is the phellogen. 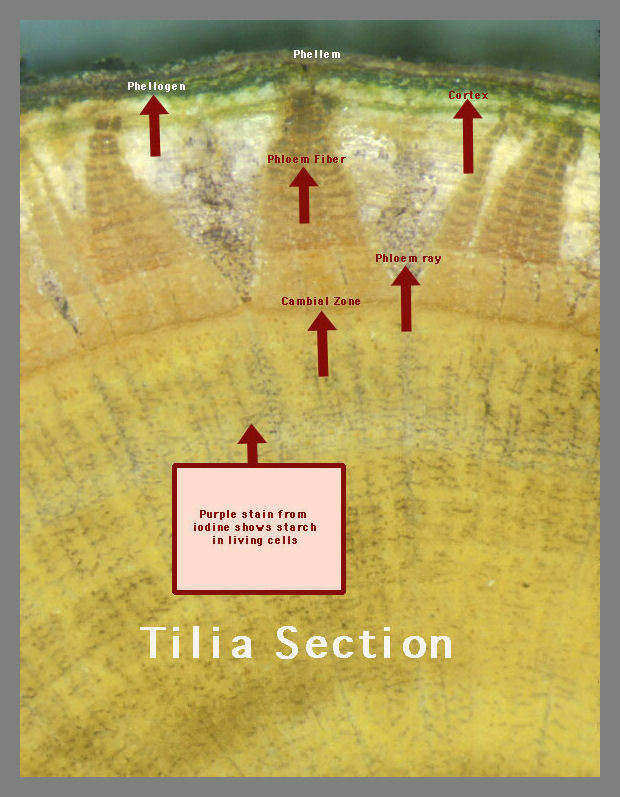 The green arrow is the Cambium Zone. This is an oak sample from the white oak family.